After winning the South East third division title for a third successive season, the Castlecomer boys under 16 basketball team travelled to Killorglin, Co. Kerry to take part in the All Ireland qualifiers on Wed 9th January 2019.. Standing in their way were Killorglin Community College and Skibbereen Community School. First up were Skibbereen and after falling behind early, Castlecomer battled back to within 4 points at halftime. Tommy Coogan was on song scoring 10 points in the first half. Tommy's precocious court awareness saw him add a further 8 points in the third quarter and things were poised for a grand slam finish. Unfortunately, with time ticking down, Castlecomer were forced to pressure Skibbereen but Skibbereen showed fantastic passing ability and shooting to outmanoeuvre the Castlecomer defence and win comfortably. The boys did not have long to bow their heads as they had less than half an hour to prepare for Killorglin. Castlecomer had an unfortunate start to the second game with Rory Buggy hitting the only basket in a listless first quarter. Things started to improve when Liam Doyle hit 9 points in the second quarter including a deep three pointer which lifted the team's momentum. Tommy was reintroduced despite his ankle troubles and electrified the travelling supporters that made the arduous journey with a massive three pointer to cut the lead to 7. Luca Downey hit 7 fast points and suddenly the encounter sprang to life. Killorglin led by 4 going into the final quarter but Castlecomer were really finding their groove. Yet another slow start proved costly as Castlecomer quickly feel behind by 10. With back to back games, Castlecomer struggled to find the energy they possessed in the third quarter and much like the earlier game they had a disappointing finish. Despite the unfavourable results, the scorelines do not reflect the competitive nature of these games and Castlecomer Community school should be extremely proud of their achievements this year. 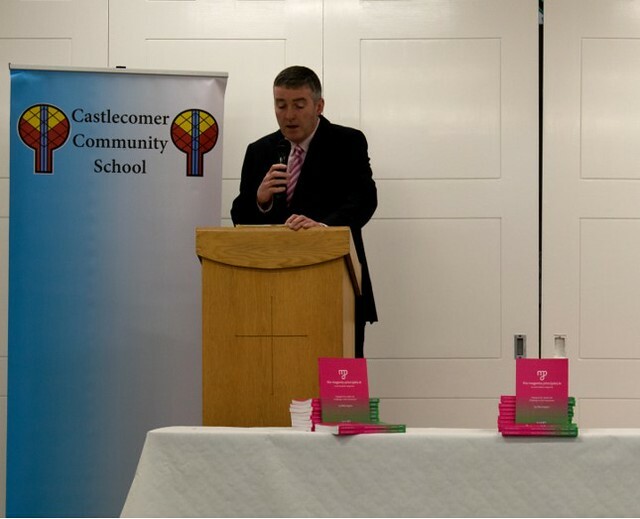 Castlecomer Community School launched its new running track on the 10th of March 2015. 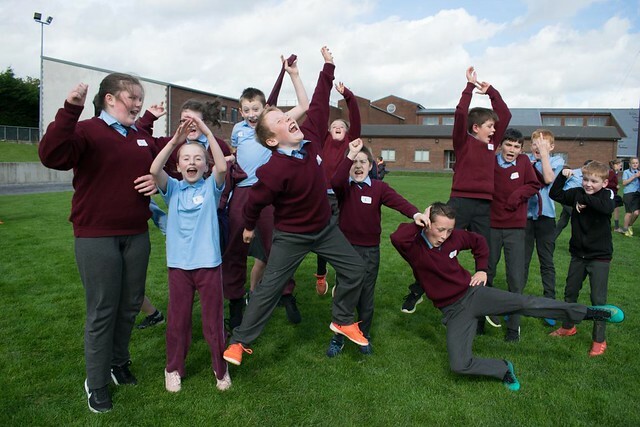 The school has invested €530,000 in completely renovating its sporting facilities (the bottom pitch, top pitch, running track and upper basketball/tennis courts). A new gym and changing rooms have also been built. However, the school needs to raise over €100,000 more to pay for the fitting out of the building. When all renovations are finished an estimated €650,000 will have been invested in the buildings and pitch/track reconstructions. On the 10th of March the school launched its final phase of the development with some staff and student races and a lot of fun.